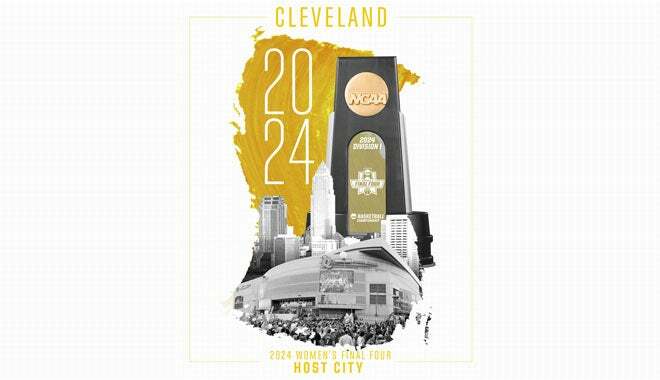 Cleveland, Ohio -- The NCAA has announced today that the Mid-American Conference (MAC) and Greater Cleveland Sports Commission (GCSC) have been awarded the bid to host the Division I Women’s Final Four in 2024 at Rocket Mortgage FieldHouse in Cleveland. The MAC, GCSC and Rocket Mortgage FieldHouse previously served as host to the NCAA Women’s Final Four in 2007, which included Tennessee, LSU, Rutgers and North Carolina. Tennessee won its seventh Division I Women’s Basketball Championship with a 59-46 win over Rutgers on April 3, 2007. The MAC, GCSC and Rocket Mortgage FieldHouse also hosted the 2015 NCAA Division I Men’s Basketball Tournament Midwest Regional in Cleveland on March 26-28, 2015, the 2018 NCAA Division I Wrestling Championships on March 15-17, 2018 and will host the upcoming 2020 NCAA Division I Men’s Basketball Tournament First and Second Rounds on March 20-22, 2020. Rocket Mortgage FieldHouse and the MAC have a long-standing working relationship. For 19 years, Rocket Mortgage FieldHouse has served as the host venue for the MAC Men’s Basketball Tournament (since 2000) and the MAC Women’s Basketball Tournament (since 2001). The Men’s Basketball Tournament at Rocket Mortgage FieldHouse is the second longest running neutral site men’s tournament in the nation. The MAC and GCSC have partnered to host several NCAA Division I Championship events and have been aggressive in bidding for future Division I Championship events. The MAC and GCSC have also partnered to host the NCAA Women’s Bowling Championships (2012, 2014, 2019).